Jon Gillies of South Portland gets mop up duty for the Flames in an 8-2 loss at Detroit. DETROIT — South Portland’s Jon Gillies was thrown right into the fire in his return to the NHL on Wednesday night. 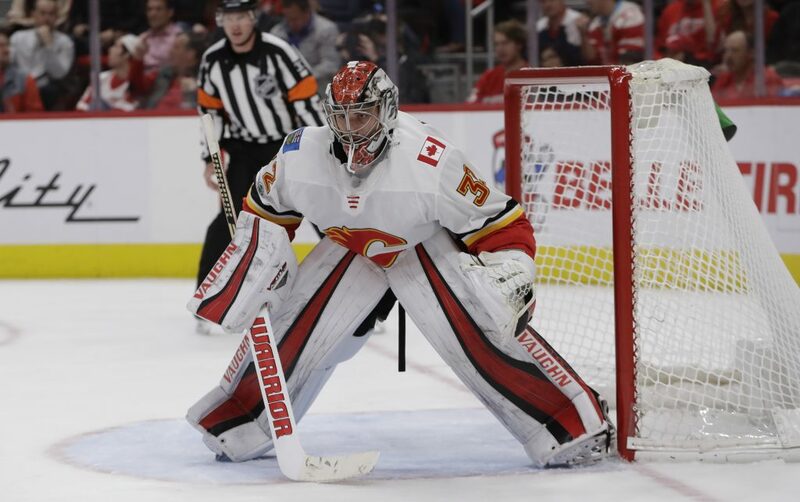 The Calgary Flames’ goaltender, recalled from AHL Stockton earlier Wednesday on an emergency basis, came on in relief of starter Eddie Lack and surrendered three goals in closing out Calgary’s 8-2 loss to the Detroit Red Wings. Anthony Mantha and Andreas Athanasiou each scored twice for Detroit, which raced to a 4-1 lead in the first period. Gustav Nyquist, Dylan Larkin, Justin Abdelkader and Luke Glendening also scored. Micheal Ferland and Johnny Gaudreau had the goals for the Flames in the opener of a six-game road trip. Gillies came on 4:27 into the second after Mantha’s second goal chased Lack, who started in place of injured Mike Smith. Gillies, who was making his second NHL appearance, finished with nine saves. 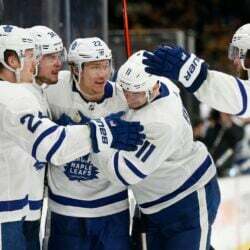 Detroit’s final two goals came during a five-minute power play after tempers flared in the last six minutes of the third period. BLACKHAWKS 6, RANGERS 3: Artem Anisimov scored three times in the third period against his former team, Nick Schmaltz had three assists and host Chicago stopped New York’s six-game winning streak. Alex DeBrincat, John Hayden and Jonathan Toews also scored for Chicago. Duncan Keith had two assists. SABRES: Defenseman Marco Scandella was fined $5,000 by the NHL on Wednesday for a two-handed slash on Penguins forward Patric Hornqvist.